Nine and Sixteen began as a journal, chronically my life as a wife and mother of two boys, living in a small, charming, Midwestern town built in the 1920's. Over the years it led to the creation of Nine and Sixteen Home, my small interior design business where I get to help others create classic, cozy and happy homes for their family. 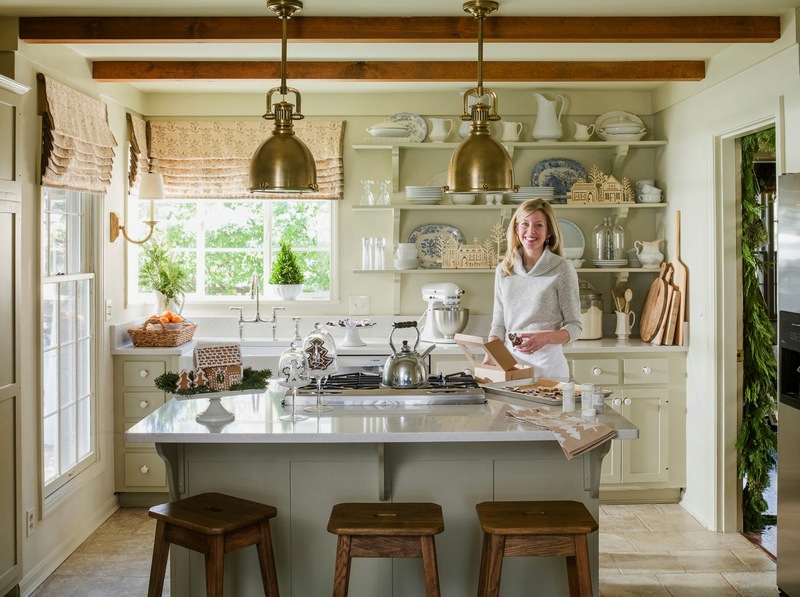 Now I blog a little less about family and a little more about interiors, but still with an emphasis on all that creates a well loved home - the simple beauty of shared everyday moments, the comfort of good food, the joy of graceful entertaining and of course all the elements that inspire classic style. I grew up most of my life in Ohio (though I was born in Belgium and raised by two European parents) and went to college at Indiana University (Go Hoosiers!). There I studied nutrition and psychology. I went on to become a registered dietitian after interning at Brigham and Women's Hospital in Boston. However, I ended up taking a position in sales and marketing with the pharmaceutical division of Procter & Gamble, and spent 12 years building a career in the marketing and brand management world. Living in Boston solidified my love of New England and remains the source of much of my decorating inspiration - funny how that works, I was there to study clinical nutrition and I spent all my time day dreaming about how I would decorate my future shingled seaside home. Ha. We return to coastal Massachusetts every summer as a family, keeping a piece of our hearts still firmly planted in New England. When baby number two arrived (Hi, Charlie!) I stopped working to stay at home. And while I never missed the corporate grind, I did miss the way it challenged me creatively. Blogging turned out to be a way to get a little of that back. A way to share a little of my life and connect with other, like minded women, to be inspired and have the chance to inspire others. After 7 years of blogging, I am most grateful for the way it has allowed me to reflect on and appreciate the good things in life. If you are interested in inquiring about a design consultation, you can read all about that here. I have had the privilege to work with clients from coast to coast as well as down he road! Have you ever baked your cookies and then frozen then until you we're ready to decorate/gift them? Do they taste just as good after they have been frozen? Your blog is excellent. I am a fellow blogger passionate about writing articles on kitchens, cooking and gadgets and I was wondering if you would be interested in having me guest blog on your website. I will make sure to prepare a high quality article which will be a great fit for your blog that your readers will definitively enjoy. I’m reaching out from Country Living, where I work on food, lifestyle, and crafts for our daily website. We just wanted to let you know that we featured your Christmas Card Garland (in your Christmas feature) in a slideshow of our favorite ways to showcase Christmas cards. We spotlighted one image from your blog and, of course, linked back to your post for a full tutorial and more details. Our readers are really enjoying it, and we are excited to show support for your blog and hopefully send traffic your way. Our story featuring your site may also be featured on our sister sites such as GoodHousekeeping.com, HouseBeautiful.com and others, which will mean even more exposure for you. Love your blog, what a nice family! !